Manual Dispensers and Checkweigh Systems | SPEC, Inc.
SPEC offers simplified solutions to managing your ink in the form of our manual dispensing and checkweigh systems. 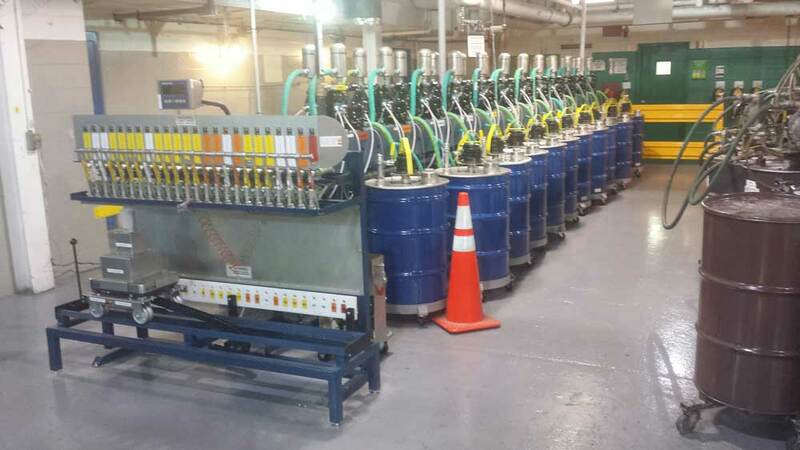 We can customize these solutions to fit whatever application that you require, including water-based, solvent-based, UV/EB, offset, and many others. These operator controlled methods of color management still provide excellent shade repeatability from batch to batch. SPEC manual dispensing system provide an economical solution to storing and weighing inks, paints, coatings, and auxiliary products. Up to 24 dispense valves can be configured on a single cluster for dispensing at a common location. Pneumatic supply pumps re-circulate the products from their containers (usually 55 gallon drums) to the dispense valves and back. Manual switches control the pumps for re-circulation and dispensing. The operator places the container on the scale, switches on the appropriate pump, and pulls down on the valve lever to dispense. Weight is displayed on the digital scale indicator. 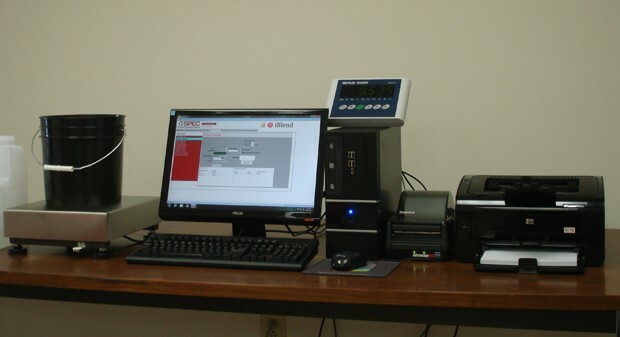 SPEC’s Formulation and Checkweighing System is the answer to the manufacturer’s need for a simplified system to computerize the formula database and provide a way to guide the operator through the accurate preparation of each batch. The system includes everything necessary to get started immediately, including all necessary PC equipment, scale, and software.